This is the basic principle presented in this fine book (adopted to gardens of course). As minimalistic design is very popular right now, and more and more people begin to enjoy the beauty of simple things the author did the right thing by analyzing and explaining a lot of stunning minimalist garden designs around the world. You will find not only amazing photos but also valuable information about the philosophy of minimalistic gardening. This book will definitely provide a lot of inspiration for redesigning your garden. Minimalist gardens, with their emphasis on clean lines, pure form, and a strong sense of space, are closely related to contemporary architecture and lifestyles. This book draws together a wide variety of minimalist gardens from around the world - large and small, urban and rural. The projects are grouped into thematic chapters, and the designers represented include Vladimir Sitta, John Pawson, Luis Barragan, Seth Stein, Jacques Wirtz, Tadao Ando, Martha Schwartz, Shodo Suzuki, and Isamu Noguchi; the book looks at the inspiration behind each garden and the frequent use of unusual materials and imaginative planning. 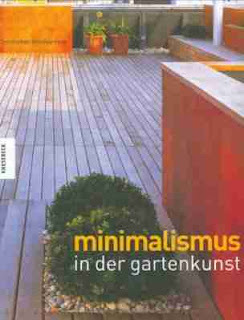 The author also explains the philosophy of minimalism in gardens and related arts, as well as parallel trends in relaxed and ecologically aware planting. 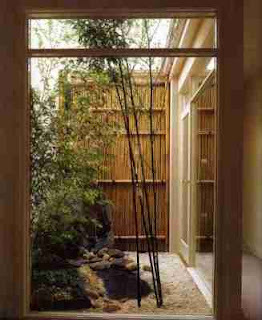 Also included are directories of materials and suitable plants for the minimalist garden. Christopher Bradley-Hole was trained as an architect and received a graduate degree from the Architectural Association in London in the study and conservation of historic gardens and landscapes. His own garden designs range from small city courtyards to immense country estates.